Andrew Crook, NFFF President has been awarded the Order of Merit Certificate at the Catering Equipment Suppliers’ Association (CESA) Awards 2018 for the voluntary time he undertakes for the NFFF which is vital to its operation. Now celebrating 80 years the CESA Conference and Awards are organised by the Catering Equipment Suppliers Association, the association for companies involved in the manufacture, import/export, distribution, installation & servicing of commercial catering equipment. The NFFF are proud to have worked closely with CESA for a number of years including working together on building the legislation on frying equipment. NFFF President Andrew Crook said, "It’s an honour to receive the Order of Merit Certificate from Glenn Roberts Chairman of CESA. 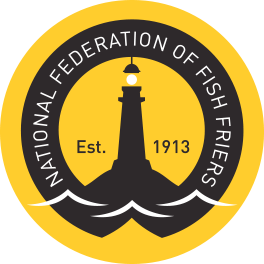 Although I have personally received this award it is recognition to everyone involved with the NFFF and the hard work and dedication the Board and I give to protect and promote the fish and chip industry. It also goes to show that if everyone works together there is still a bright future for us as an industry.